Two words come to mind when we think of the Summer Movie Season. Bigger (which is a guarantee), and better (which is more of a hope). There’s no denying that movies like Godzilla, Transformers: Age of Extinction and X-Men: Days of Future Past could only open in the sweltering summer session, when audiences try to beat the heat by escaping into air-conditioned multiplexes to have their minds collectively blown by massive special effects. But do those minds also have to be switched off during the summer season? We hope not, and we’re looking to the following films to stimulate as well as entertain us as we race into the exhilarating Summer blockbuster frame. These are the 20 movies we’re most excited about this summer season, listed in chronological order. They are the movies we have been obsessing over constantly in the Cinema Blend offices – the movies we can’t wait to finally experience in a theater. Soon! For each, we try to explain WHY these movies matter. You have a lot of films to choose from in the summer season. These are the ones we think need to be on your radar. Tell us, in the comments section, which ones you are dying to see. And remind us which ones we’ve missed. Enjoy this year’s Summer Movie Preview. Dig in! Marc Webb rebooted the Spider-Man franchise with 2012’s The Amazing Spider-Man, and now that he’s gotten the origin story out of the way, he’s able to take his hero out for a few spins. However, Webb’s focus isn’t just on this immediate sequel. 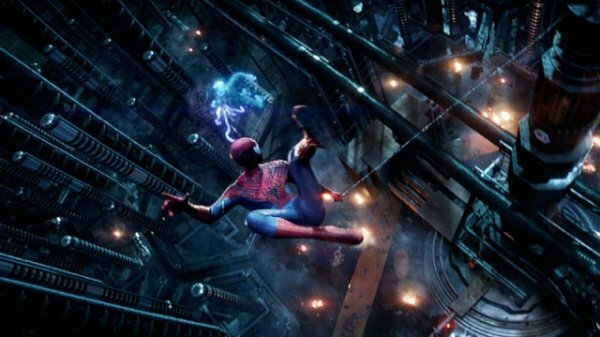 Sony has bet big on the future of The Amazing Spider-Man, announcing plans for The Amazing Spider-Man 3 and possible spinoff movies for The Sinister Six and Venom, if all goes according to plan. First, however, audiences need to turn out and support Webb’s second chapter in Spider-Man’s latest adventure, and this one is a doozy. Without getting too deep into details, the new movie retells a VERY important story in Spidey’s history, centering on Peter Parker’s strained relationship with his soul mate Gwen Stacy (played by the beautiful, radiant and charismatic Emma Stone). If you’ve read the comics, you know where this is going… and you know it’s bound to hurt. Jamie Foxx steals scenes with his portrayal of put-upon OsCorp employee Max Dillon – who becomes the lethal Electro. And Dane DeHaan brings the tragic Harry Osborn to life. But finally committing the Gwen Stacy saga to the silver screen is a landmark achievement, and it will ensure that Spider-Man fans around the globe flock to see The Amazing Spider-Man 2 again and again. Bring tissues. 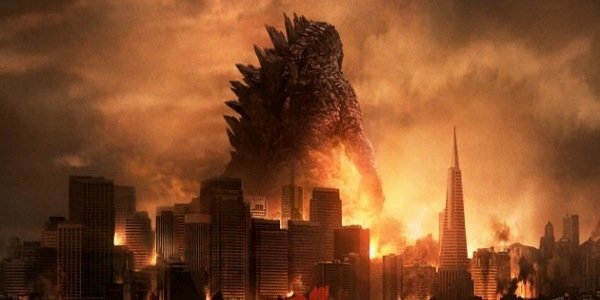 Godzilla has one of the richest cinematic legacies of any character in movie history. The original film, born out of an agitated post-nuclear Japan, was not meant to be fun, but rather a reckoning, the sins of the past manifested, the personification of great tragedy and terrible loss. As the films continued, however, they lost their sadness, they lost their innate terror, and Godzilla was co-opted. Now, he fought for the people. Somehow, he was their hero. And there was no shortage of evil monsters to battle. The fire-breathing legend has laid dormant for a few years now, due to diminishing returns from the Toho films in Japan and the disastrous 1998 American version that completely violated the essence of the character. Edwards brings a fresh take, however: his debut film Monsters focused on the disaster zone and urban decay left behind in the wake of a horrific alien invasion. Monsters was ultimately a smaller film, one dealing with an interpersonal relationship within the rubble. Godzilla should be, and probably will be, a bit more. And early signs suggest a level of horror not seen as far as the monster, last seen rampaging throughout Japan in Godzilla: Final Wars. The character is usually captured in man-in-suit chintziness amidst low budget sets, which is why seeing him in the hands of Roland Emmerich showed promise. But Emmerich focused only on showy money shots, the beast's proportions constantly changing from shot-to-shot, before a truly disappointing character reveal. Edwards' Godzilla, meanwhile, is a preposterous size, and the action shots from the trailer suggest a level of devastation and disaster unseen in any film. This is a Godzilla that does not shrink away, this is a Godzilla that will mess you up. This is also a Godzilla, FYI, without a Puff Daddy music video tie-in. Thank goodness for small favors. In your early years of X-fandom, did you ever think you'd walk past a billboard advertising a big budget adaptation of Days Of Future Past? One of the most beloved, and most convoluted, of X-Men storylines, this one has an X-Man traveling from a war-torn future into the past to stop a Very Bad Thing from happening to the First Class mutants in the seventies. In the new movie, that Very Bad Thing is unclear, but it definitely involves the creation of giant mutant-hunting robots know as Sentinels, which capture mutants and place them in containment camps. You just know both Magnetos have a problem with THAT concept, which is why it will be curious to see how Fassbender adapts to playing the Master Of Magnetism in a movie that has the original real deal besides him. And how does he cope with his son Quicksilver, a young superpowered speedster who has the Maximoff comic tradition of graying prematurely? Also, how does he deal with young Xavier, who is still walking despite the bullet at the end of First Class, specifically to thrift shops to buy the ugliest shirts in existence? But, again, this is Wolverine's movie, as he is being sent back in time to save the day and look great while flexing. This is Jackman's seventh time as the bladed hero, and the reason why most people haven't gotten sick of him is because of Jackman's combination of movie star charisma and macho world-weariness. Here, at last it makes sense why he'd be the lead, even if center stage was taken by the Kitty Pryde character in the comics: Wolverine has lived through the entire century, so to give a man out of time a chance to go back and reverse one historical period in which he lived to prevent another is an intriguing concept. Also, he probably stabs a lot of dudes. Forget live-action remakes and forget sequels. Disney is taking a different approach at revisiting one of their beloved films with their new take on Sleeping Beauty by turning the focus around and telling the other side of the story. We're familiar with the princess who was cursed to sleep until her prince rescued her, but what about the villain? Anyone who knows the original Disney animated version of Sleeping Beauty knows that Maleficent isn't very developed as a villain. She essentially shows up at Aurora's christening, casts a delayed curse and waits. Beyond her poor manners -- who crashes a Christening and curses the baby, honestly? -- the story never really fills us in on her motives. 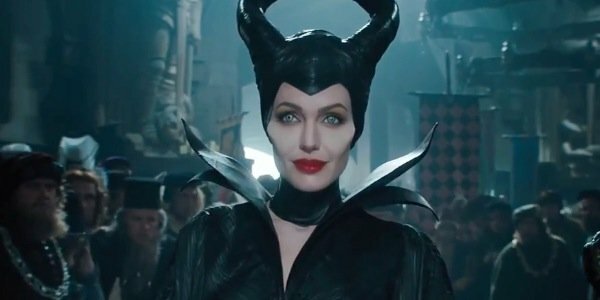 Disney's update seeks to explore Maleficent's side of the story, which should hopefully shed some light on the behavior of this Mistress of All Evil. Why did she curse Aurora? Answering that question could very well change our perception of Disney's Sleeping Beauty. It's a risk, but an exciting one on Disney's part, as it delves deeper into one of their most classic fairytales, building onto the original story, hopefully in a way that compliments it. The concept alone is reason enough to anticipate Maleficent. This is a film that could prove to be a game-changer in the way that Disney and other studios approach follow-ups. Beyond that, it looks like a great movie. We have Angelina Jolie with that wicked laugh and smile, and Elle Fanning starring opposite as the lovely and innocent Princess Aurora. And then there's Sam Riley, who's playing Diaval, the human form of Maleficent's right-hand raven! The trailers for the film have teased a visual feast, with a colorful backdrop, as well as pixies, at least one fire-breathing dragon and numerous other enchanted creatures from the forest kingdom looking ready to wage war with the humans. Exactly how all of this fits against the original story remains to be seen, but it's evident that Disney is going big with this picture, and we're eager to see if the payoff is as grand. After spending his long career almost exclusively in television, Seth MacFarlane accomplished something rather amazing back in the summer of 2012. He not only moved up to making features, but did so by moving away from animation and into live-action. The end result -- the crude, heavily R-rated Ted -- wound up getting both a largely positive critical response and was a smash hit around the world, ultimately making nearly $550 million. It’s the kind of success that makes you sit up and pay attention, and it’s why we’re so excited for his sophomore effort, A Million Ways To Die In The West. Based on a script by MacFarlane and Ted co-writers Alec Sulkin and Wellesley Wild, the comedy is set in the old west and follows a cowardly sheep farmer who hopes to reassert himself as a man after his girlfriend dumps him for being too much of a wimp. To do so he teams up with a mysterious stranger new to town, but that only raises more complications when her outlaw husband comes to town thirsty for blood. 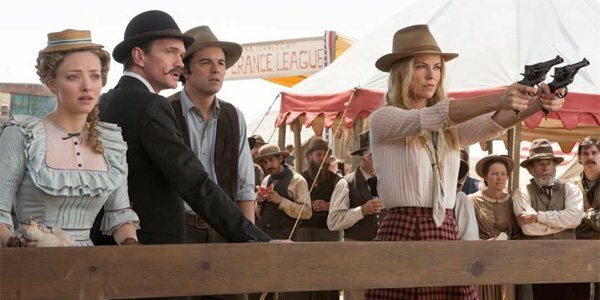 Taking yet another step into unfamiliar territory, MacFarlane is using A Million Ways To Die In The West as a possible launching point for his career as a live-action lead actor, but even if he is terrible (we don’t imagine he will be), he has an outstanding supporting cast backing him up. He has a wonderful co-protagonist in place with Charlize Theron playing the helpful mysterious stranger; a force of nature playing the villain with Liam Neeson as the outlaw; and a group of incredible funny actors in Neil Patrick Harris, Amanda Seyfried, Giovanni Ribisi and Sarah Silverman filling out the supporting cast. We have some very high expectations for this one, and hopefully it will not only reach them, but even go beyond. Developing a story about a strong female lead isn't a novel concept in the young adult genre these days. In the post-Twilight era, we're seeing more and more strong, take-charge young female protagonists who've faced tough adversaries. John Green's The Fault In Our Stars takes a far more grounded approach in that regard, as lead character Hazel Grace Lancaster isn't going up against a foe that can be beaten with a bow or a gun. This teen is battling terminal cancer, and while much of the story centers around her struggle with a disease, as she lives on borrowed time, Hazel doesn't wallow. Her outlook on life is certainly altered by her experience with cancer, but she's a teen girl nonetheless and ripe for her first romance. Enter Augustus "Gus" Waters, a charming and intelligent amputee whose path crosses with Hazel at support group and the two click pretty much instantly. Green's emotional story seems prime for a movie, and we're hopeful Josh Boone's adaptation will do the story justice. Beyond seeing Hazel and Gus brought to life in this film, we also have Shailene Woodley and Ansel Elgort to look forward to. The two young actors played sibling recently in the feature adaptation of Divergent, but they'll be connecting on a much more romantic level this time around, in a film that has the potential to be a beautiful demonstration of their dramatic (and a little bit comedic) range. The cast is rounded out by Laura Dern, Sam Trammell, Nat Wolff and Willem Dafoe, who will be playing the elusive author, Peter Van Houten. Based on the book, and what we've seen from the trailer, we're prepared for The Fault in our Stars to be an emotional ride, but one that's well worth the potential awkwardness of leaving the theater dabbing our eyes (or bawling, if it comes to it). What's more, we're prepared to fall in love with Hazel and Gus as they fall in love with each other. 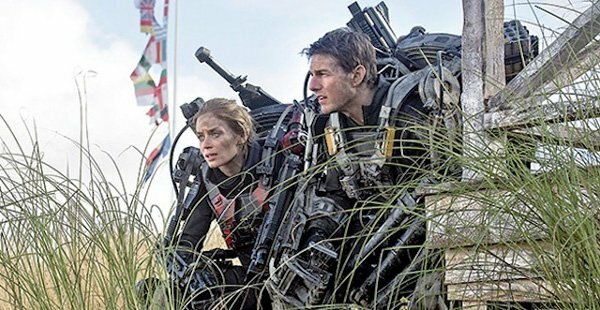 There are a lot of people leaning on Edge of Tomorrow to help prove that they are still relevant in today’s cinematic culture, starting with leading man Tom Cruise. The once mighty star hasn’t had a massive hit in a while – which might explain why he’s falling back on his Mission: Impossible franchise for a fifth movie in the near future. Other films like Jakc Reacher and Oblivion have the industry questioning how bright Cruise’s star continues to shine. And if Edge of Tomorrow fails to take off in a crowded summer field, his longevity as a box-office icon could be in jeopardy. Then, there's director Doug Liman, who burst onto the scene with Swingers and Go, the skyrocketed with The Bourne Identity and Mr. & Mrs. Smith. He has come back down to Earth thanks to Jumper and the political Fair Game, but he could use a massive hit to reconnect him with a mainstream crowd again. Thankfully, the film looks incredibly inventive, with director Doug Liman resetting Cruise in a sci-fi Groundhog Day premise as a soldier who has to keep reliving the same battle-infused day time after time. There are a LOT of superhero stories on the docket this summer. Edge of Tomorrow will give audiences a different option… but ticket buyers are going to have to bring their intellect to keep up. Will that help Edge of Tomorrow as it rolls out into theaters, or will it hurt the movie’s chances at success? Any reservations you might have about 22 Jump Street are likely totally reasonable. The legacy of successful sequels to blockbuster comedies is about as positive as the legacy of video game movies. Still, there are so many smart moves being made with this film that we can’t help but be excited for it. Let’s start by talking about the sequel’s solid foundation. In 2012, audiences were taken completely by surprised when 21 Jump Street – an adaptation of an ‘80s TV show – wound up being the best comedy of the year. 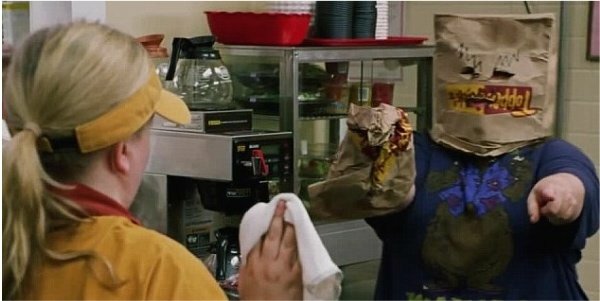 The sequel once again unites the strangely perfect pairing of Jonah Hill and Channing Tatum as undercover police officers Schmidt and Jenko, and we can’t wait to see how their bizarro chemistry is further explored. As hinted at in the end of the last movie, this time around their hijinks will be taken to the next level as they move on from their positions as high school students and instead become freshmen at the local college. Expect the film to work in plenty of meta jokes on just how hard it is to make a sequel. 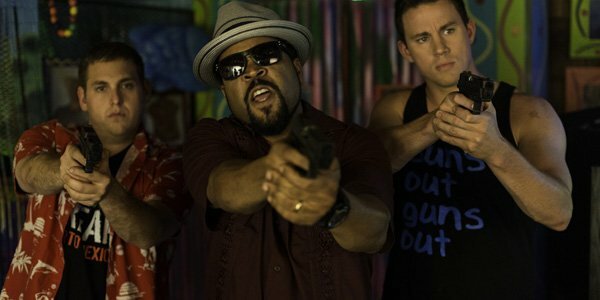 What really has us sold on 22 Jump Street, however, are the two men steering the ship. Between Cloudy With A Chance of Meatballs, 21 Jump Street and, most recently, The LEGO Movie, directors Phil Lord and Chris Miller have proven themselves to be two of the most talented comedic filmmakers currently working in the industry. We have reached a point where if they are involved with a project, then it’s worth a look. The two directors originally were not going to come back for the sequel, but were ultimately convinced to do so by a solid script. If that’s not enough to get you interested I’m not sure what else there is to say. CAST: Jay Baruchel, Kristen Wiig, America Ferrera, Jonah Hill, Gerard Butler, Cate Blanchett, Kit Harington and Djimon Hounsou. 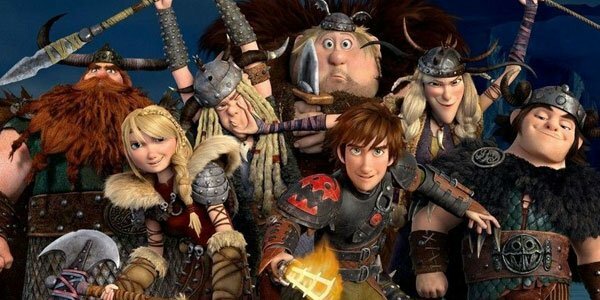 Back in 2010, How to Train Your Dragon was a whimsical and welcomed animated adventure that captured the hearts and imaginations of children and grown-ups through its moving story, gorgeous animation, and break-taking use of 3-D. With massive critical praise and a worldwide box office of $494 million, a sequel to this hit seemed an obvious decision. As DreamWorks has in the past offered up some sloppy sequels like Shrek The Third and Kung Fu Panda 2, our feelings were mixed when How to Train Your Dragon 2 was first announced. However, DeBlois--who also wrote the script for How to Train Your Dragon 2--actually has a solid base to expand the story of Hiccup and Toothless. We've all seen the dragons and Vikings work things out. Now let's see what adventures lie beyond the island of Berk! In the film, five years have passed since we last saw Hiccup and Toothless, and their camaraderie and daring has only grown. While their friends revel in a new breed of dragon-centric sports, this plucky pair is flying farther and farther away from Berk to chart unknown lands and trip across new quests. Little does Hiccup suspect to discover something startlingly close to home in these journeys. Along the way, DeBlois and his team is offering up a myriad of new dragon breeds as well as new characters voiced by Kit Harington, Djimon Hounsou, and Cate Blanchett. But most enticing to us is the supreme craftsmanship the filmmakers have put into aging up their teen heroes. The attention to detail in the character posters alone has us expecting great things from this high-flying sequel. Then of course we saw that five-minute preview, and from there How to Train Your Dragon 2 became one of our most anticipated releases, not just of the summer, but of 2014. First and foremost, Snowpiercer is the latest film and English-language debut of celebrated South Korean writer-director Bong Joon-ho, who won international acclaim in 2006 for his chilling yet hilarious monster movie, The Host. As a follow-up to the film that won him genre fans around the globe, Joon-ho dished out a lean, mean and critically acclaimed murder mystery known simply as Mother. (If you haven't yet seen that slick bit of thriller, be sure to add it to your to-do list this minute. We'll wait.) After these films, we'd follow Joon-ho anywhere, and for Snowpiercer, that means following him into a desolate wasteland of ice, snow, isolation and death. Based on the French graphic novel Le Transperceneige, Snowpiercer is set on a future Earth that has been devastated by an apocalyptic new ice age. All that remains of humanity lives together on one single train called Snowpiercer. But even with such a shallow spread of mankind left on the planet, we divide ourselves into haves and have-nots. And class warfare begins to brew aboard this tinderbox of a train. So, you've got a to-die-for director, an intriguing story, and on top of that a cast loaded with stellar performers. 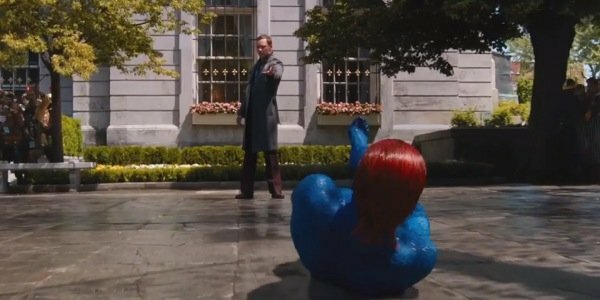 After seeing what he's done for Captain America, we'd watch Chris Evans in Paint Drying: The Movie. Tilda Swinton makes us swoon, and then the just look at the rest of this cast! You don't get an ensemble this great without a stupendous screenplay, and assisting Joon-ho in making sure his vision isn't lost in translation is Before The Devil Knows You're Dead scribe Kelly Masterson. But perhaps the best news of all for this ambitious drama is that after reports that it would be cut down for its U.S. debut, The Weinstein Company had a change of heart and promised American audiences to be true to the cut Joon-ho had engineered. After years of drooling over concept art and character posters, we'll finally get to see this promising pic this summer! 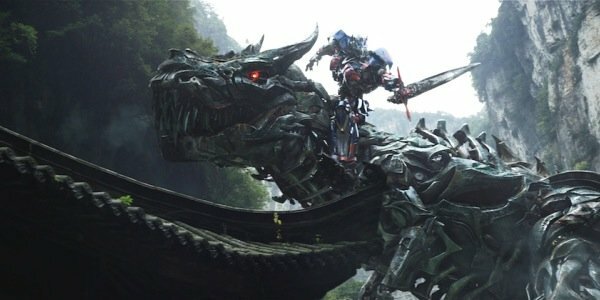 Because after three hugely successful Transformers films, Paramount is attempting to reboot their franchise – sort of. After flirting with the possibility of moving on, director Michael Bay retains creative control over the series, which will take place years after the wonton destruction of Chicago in Transformers: Dark of the Moon. But here’s the big change: Shia LaBeouf and the cast of the initial Transformers trilogy have been jettisoned, replaced by Bay’s Pain & Gain collaborator, Mark Wahlberg. Will audience respond well to the upgrade? This sounds silly to say about a Transformers movie, but the plot is going to matter. I can’t tell you a single dramatic point about the previous Transformers movies. Basically, they all went "boom" very well, to the tune of BILLIONS of dollars in global receipts. But Bay has been hinting in the press that Transformers: Age of Extinction will be the starting point for a new trilogy (even though he has not said whether he will continue to direct after this one). So for all of the talk about a fresh take on the Transformers series, this looks to retain a lot of the chemistry that made the first three films huge hits. Will the fourth movie in this still-powerful film franchise excite audiences enough to have them clamoring for the next few adventures of Wahlberg and the Autobots? We’ll find out soon enough. Melissa McCarthy may occasionally overplay her hand in an effort to generate as many laughs as possible, but when working with the right material, they are few comediennes better. She can storm through a scene like few others, and the subject matter for Tammy sounds perfect for her. It follows a woman who has hit the end of her rope. Her husband is cheating. Her job situation is a complete disaster, and her family members aren’t exactly the easiest people in the world to get along with. Tammy is being directed by Ben Falcone, who has been in a slew of movies but for our purposes, is most importantly, Melissa McCarthy’s longtime husband. It’s entirely possible that means he won’t be able to direct her at all. Some people are horrendous at working with family members on a professional level. Fortunately, there are plenty of others who are great at it. Before they hated each other, Woody Allen and Mia Farrow did some brilliant work together. In short, it’s going to be nice to see someone with a completely different perspective try to manage McCarthy, and if it proves to be a winning combination, we could see the two paired together again for decades to come. Or we could all quietly act like this never existed a few years from now. Either way, it’s worth paying attention to. Because critic Roger Ebert mattered to film, and we lost him in April 2013. Nearly a year later, Oscar-nominated documentary filmmaker Steve James (Hoop Dreams) remembers the influential journalist with a touching tribute that has made the festival circuit and is making its way to theaters. There’s a very good chance that you, like us, grew up reading the reviews of Roger Ebert. Maybe you disagreed with him. (Lord knows we did, often.) But there was no denying the passion, knowledge and brilliant, conversational tone he brought to virtually every column. No film critic outside of his late partner, Gene Siskel, could claim to have the impact Ebert had with his very simple rating of "Thumbs Up / Thumbs Down" on a film. Ebert’s legacy extends beyond his digit, of course, and James’ documentary pulls from the critics’ memoir to paint the full portrait of his life. Life Itself won’t make a fraction of what X-Men: Days of Future Past will pull in on its opening weekend. But if you give a damn about the movies (and if you read this far, you do), then put Life Itself on your radar and check it out when it reaches a theater near you. The first time that Hollywood tried to reboot Planet of the Apes was a bit of a trainwreck, as great special effects makeup couldn’t fix the broken script that led to Tim Burton’s remake of the 1963 sci-fi classic. Where that film failed, however, 2011’s Rise of the Planet of the Apes succeeded. Establishing itself as a prequel and telling the story of how a chimpanzee named Caesar would lead to the downfall of mankind, the movie left us desperate to see more of the story, and this summer we will finally get to see a continuation of that story. 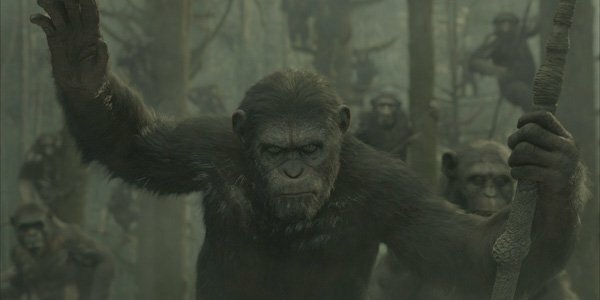 Directed by Matt Reeves, who has demonstrated an interesting eye as a filmmaker with movies like Cloverfield and Let Me In, Dawn of the Planet of the Apes picks up 10 years after the end of the last film and finds Caesar leading a community of apes in a world decimated by the spread of a deadly virus. This time of peace is interrupted, however, when the primates come in contact with a band of humans who have managed to stay alive. This contact eventually leads to conflict as a result of fear, and before long war starts to peek on the horizon. Dawn of the Planet of the Apes has a number of impressive actors playing the human roles, including Jason Clarke, Gary Oldman and Keri Russell, but just like the last film the real draws to this rebooted series are the apes. The amazing Andy Serkis is once again back playing Caesar, and from the looks of all the footage we’ve seen, the visual effects team at WETA have outdone themselves. If Dawn can be even half as good as Rise of the Planet of the Apes, then we should be in for a real treat – but that’s still a very high bar. The Wachowski Siblings seem to live by the motto: Go big or go home. In the past, they brought us The Matrix trilogy, a franchise so popular, mesmerizing, and instantly iconic that it shifted the entire action genre in a new direction. Then in 2012, this dedicated duo (along with co-helmer Tom Tykwer) took on the adaptation of a book many had written off as "unfilmable." Cloud Atlas received praise from critics. But it appeared to baffle the general public, earning just $130 million worldwide, which is bad news when its budget is estimated at about $102 million. Still, even when they aren't delivering runaway hits, you have got to admire Wachowski ambition. With Jupiter Ascending the Wachowskis have concocted an original and sprawling science-fiction universe in which there are a wide array of life forms spread out across space. But in the caste system that has naturally evolved, humans are considered to be near the bottom of the barrel when it comes to intelligent life. Mila Kunis stars as a young maid named Jupiter Jones, whose ordinary life is thrown into spin (and danger) when a genetically engineered hunter (Channing Tatum) tracks her down and tells her she was born to an incredible destiny that will pit her against the Queen of the Universe. Directed by the Wachowskis, Jupiter Ascending had us intrigued from the start. Its cast made us drool with anticipation. Then the trailer hit, and we dutifully marked out calendars for its release. Of all the filmmakers working today, the Wachowski Siblings are chief among those who remind us of the glory of watching a movie in a theater, where their lush production designs can explode before us, larger than life. There, we can properly be enveloped in the carefully composed score and scintillating sound design. In the theater, we get as close to we ever will to entering into the worlds the Wachowskis imagine. And it's a pretty spectacular place to be. Marvel Studios is on what you might call a bit of a roll. Two years ago they made what ended up being the third highest grossing film of all time with The Avengers, and the three films that have come out since - Iron Man 3, Thor: The Dark World, and Captain America: The Winter Soldier were all giant blockbusters in their own right. (And did I mentioned they all got positive critical receptions?) At this point, it seems like the studio can do nothing wrong, so now, in classic Monty Python style, they’re ready to present us with something completely different. While the Marvel Cinematic Universe has established a rich, full fictional Earth filled with all kinds of superheroes and evil forces, Guardians of the Galaxy takes audiences millions of miles away from all of that and instead introduces them to a whole new team of dysfunctional misfits. Leading the pack is Star-Lord (Chris Pratt), a half-alien, half-human who left Earth at a young age and has spent his adult life as a Han Solo-style badass, but backing him his a ridiculous and colorful cast of supporting characters: Groot (Vin Diesel), a walking tree; Rocket Raccoon (Bradley Cooper), a gun-loving furry mammal; Gamora (Zoe Saldana), a green space assassin; and Drax The Destroyer (Dave Bautista), a hulking alien driven by revenge. 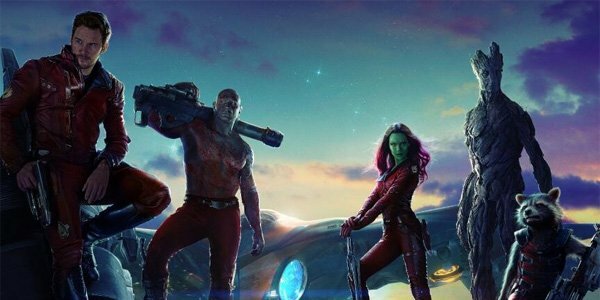 Of all the characters that Marvel has brought to life on the big screen thus far, the Guardians of the Galaxy are by far the most obscure, but it’s possible that the movie’s power lies in that obscurity. Directed by low-budget maestro James Gunn, the film looks utterly bizarre, and something about the strangeness of the footage just makes you want to know more about it. It looks like a ridiculous amount of fun, and should be a great late-summer hit. 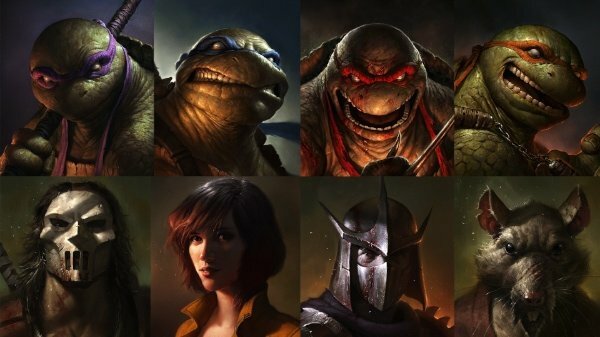 First of all, the Teenage Mutant Ninja Turtles are certifiably badass. Anyone who tells you differently is either from the wrong generation or has horrible taste. These amphibians are super loveable, and the world is a better place when they’re churning out a steady stream of material on both television and in movies. That being said, this film hasn’t exactly attracted a ton of good publicity. There are rumors about reshoot swirling, and producer Michael Bay doesn’t exactly instill confidence in most people. So, are there red flags? Yes, let’s just own up to that right off the bat. Beyond those red flags, however, there’s a project here that’s pretty interesting. The cast is well above average. The $125 million budget will more than allow for everyone involved to get as crazy/ fun with the adaptation as possible, and we should have all of the technological pieces we need to make these amphibians look great. Now, it’s just a matter of finding the right plot and getting the tone correctly. This movie should either start an entirely new franchise that cranks out hits on a semi-regular basis, or we need to root for it to move out of the way as quickly as possible so someone else can try their hand. Released a little more than twenty years ago, The Giver reached a fairly wide audience pretty quickly, but its influence has only grown in the years since thanks to how often it’s taught in schools. Consequently, there’s damn near an entire generation that read Lois Lowry’s text at some point in their lives, and after numerous starts and stops, the material has finally gotten the production budget and the cast to adapt the material correctly. Don’t expect a straight up adaptation, however. No doubt that willingness to change things will infuriate some of the book’s biggest fans, but in a way, it’s the reason why The Giver is worth getting excited over. It’s always important to stay true to the spirit of something, but for an adaptation to work, the director and writer need to have the freedom to make choices that are in the film’s best interest. Here, that means we’re going to see a much older Jonas who has a far clearer love interest. It should also mean some of the visions he receives are more graphic than what we got in the book. In theory, that means the strengths of Lowry’s work could be built upon. Besides, who doesn’t want to see Jeff Bridges play the title Giver, a weird old man who possesses every memory? For most people, the thrill of these movies lies in the casting. The first film did a poor job showcasing the cast, likely a case of Stallone overextending himself as director and co-writer. But the second gave standout moments to each member of the crew, including a just-passing-through Chuck Norris and an absolutely game Jean-Claude Van Damme as villain Jean Vilain (oh, the names in these movies!). The subtext of the first two were that these old veterans of the action genre still had life in them. Now that we've seen them return twice, the theme very much feels like the end of an era, particularly for Stallone and Schwarzenegger, neither of whom remain bankable. And the casting department didn't let down this time around. The net's been widened, and no longer did the production pursue b-list action stars when there were a-level recruits still waiting to be called. Wesley Snipes, fresh out of prison, joins the group as Surgeon. Antonio Banderas, an unlikely but welcome addition, is Rapido. Harrison Ford, actually one of the oldest Expendables, is pilot Max Drummer, and Kelsey Grammer is Bonaparte. And, in the villain role, there's old Mel Gibson as the superbly-named Conrad Stonebanks. There's fresh blood onboard, not only in the cast, but also behind the camera: little-known Aussie director Patrick Hughes has been given the task of wrangling this preposterous cast. His thriller Red Hill was low on the explosions, but high on tension, and he's got enough of an attitude to toss these legends around a bit, at least more than part two's Simon West. The hope is also that he can restrict the old guys so they don't embarrass themselves looking like they can hold their own: the spotlight should be on the more convincing badasses, like Snipes, Statham, Crews, and even Lundgren, while letting guys like Stallone, Schwarzenegger and Ford bow out gracefully. The first and second films were victory parades. This third one should be a passing of the torch, and a chance to re-establish this franchise as a boutique showcase for the greatest action stars of their generations, while they can still throw roundhouse kicks. James Dashner's The Maze Runner is almost as much a mystery as it is an adventure, centering on a kid who wakes up on an old elevator as it's delivering him to a mysterious place called The Glade. 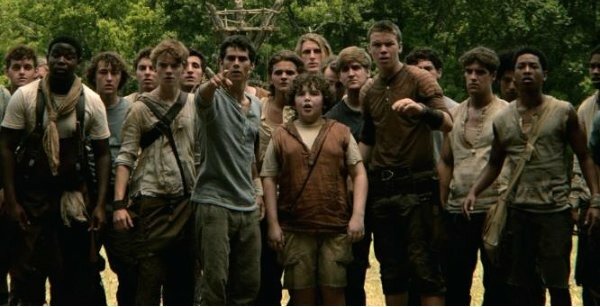 Thomas knows nothing about who he is other than his own first name when he arrives in the Glade and is introduced to a community of other boys, each of whom arrived the same way at some point during the previous months or years. These kids live by their own rules, attempting to function as a community within the high walls of their compound. Each morning, those walls of the Glade open up to a massive maze that may be the key to freedom. Each day, the runners -- the fastest and bravest of the kids -- heads into the maze and spends their daylight hours running through the maze in search of a way out of this strange place. So far, no one has been successful. But it's crucial that the runners make it back to the Glade by the end of the day, because when the sun goes down, the vicious, stinging Grievers come out to roam the maze at night. The story is brimming with potential for a thrilling cinematic experience. Between the Maze, the Glade and dangerous Grievers that lurk in the maze, Dashner really paints a thrilling and picturesque backdrop for this story, which doubles as a mystery, as we're left to wonder who has orchestrated this strange and dangerous situation. It should be very interesting to see how Wes Ball brings it to life, especially considering his background in art and visual effects, which should prove very useful for this adaptation. There's also the cast to be excited about, as up-and-comer Dylan O'Brien plays the lead role int he film, while Kaya Scodelario will play Teresa, the final arrival and lone female at the Glade. Fox gave us our first good look at the film with a trailer to whet our appetites for the adventure that awaits these Gladers.